Howardena Pindell is among the contemporary artists included in our April 4 sale of African-American Fine Art. Her work explores texture, color and structures often incorporating punched circles and grids, as well as employing a lengthy, metaphorical process of destruction/reconstruction in the creation process. She was recently interviewed by the New York Times for an article about older African-American artists whose careers have taken off in recent years. Pindell first engaged with hole-punched circles by counting and numbering each one, then placing them over a gridded form–often the lines of graph paper–and then adding embellishments such as acrylic, watercolor, glitter and even baby powder, which can be seen in Untitled #1, 1980-81. Her inspiration in numbers and grids grew from her father, a mathematician who often wrote down figures in a gridded journal. Lot 118: Howardena Pindell, Untitled #1, mixed media on paper collage with nails, glitter, thread & a wolf plastic figurine, 1980-81. Estimate $20,000 to $30,000. In the work above she collages images of monuments with various postcard images of the Seattle Space Needle and Washington D.C.’s Capital Hill, employing her use of a grid that becomes lavishly intricate with glitter, nails and small fragments of paper. This untitled work on paper is an excellent and scarce example from 1970. From 1968-72, Pindell created refined abstract compositions of ovals and circles on paper and canvas before her celebrated punched-hole collaged compositions. 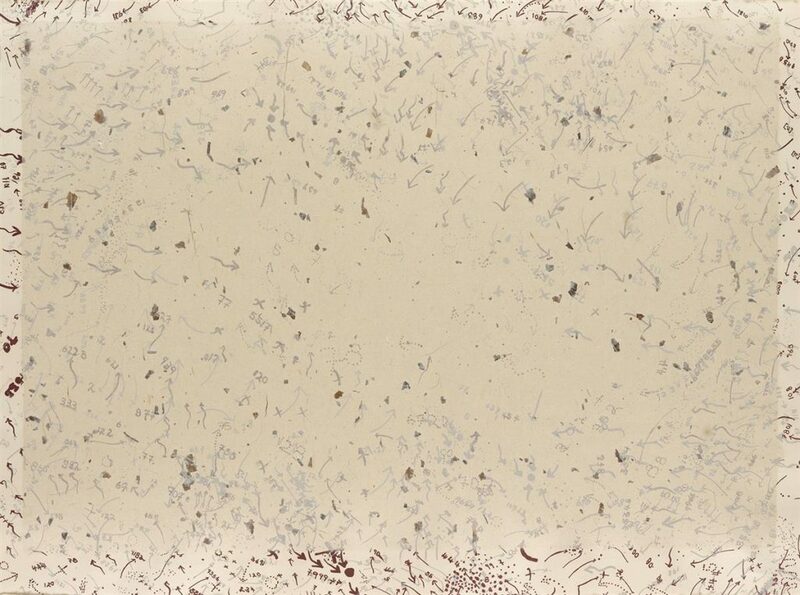 Lot 92: Howardena Pindell, Untitled, pencil, acrylic & colored pencil on graph paper, 1970. Estimate $20,000 to $30,000. This significant period is highlighted in the recent traveling retrospective, Howardena Pindell: What Remains to be Seen, on view at the Museum of Contemporary Art Chicago and curated by Naomi Beckwith and Valerie Cassel Oliver. Also included in the sale is an untitled color lithograph with chine collé from the A.I.R. Print Portfolio, 1976. A.I.R. Gallery was the first all-female artists cooperative in the United States, founded in 1972 by Pindell and 19 other artists. 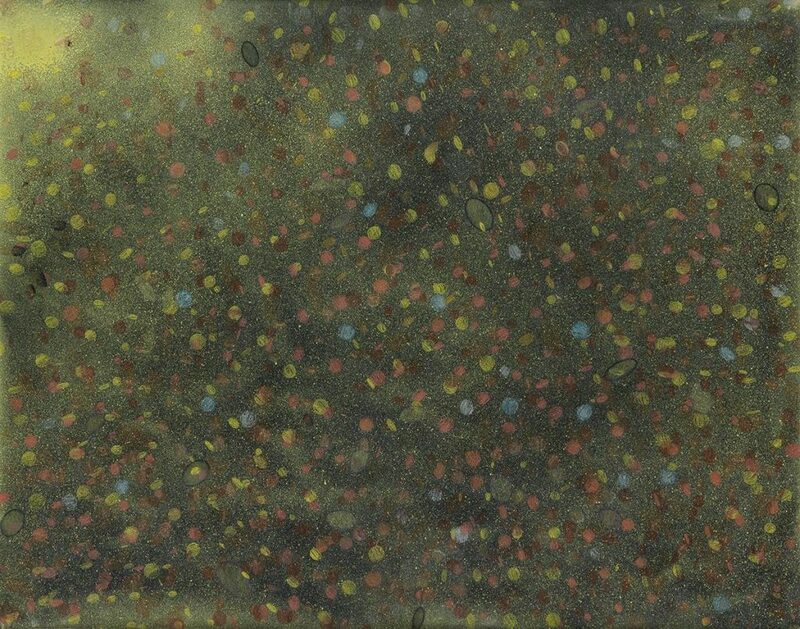 Lot 116: Howardena Pindell, Untitled, 1976, color lithograph with chine collé, 1976. Estimate $5,000 to $7,000. 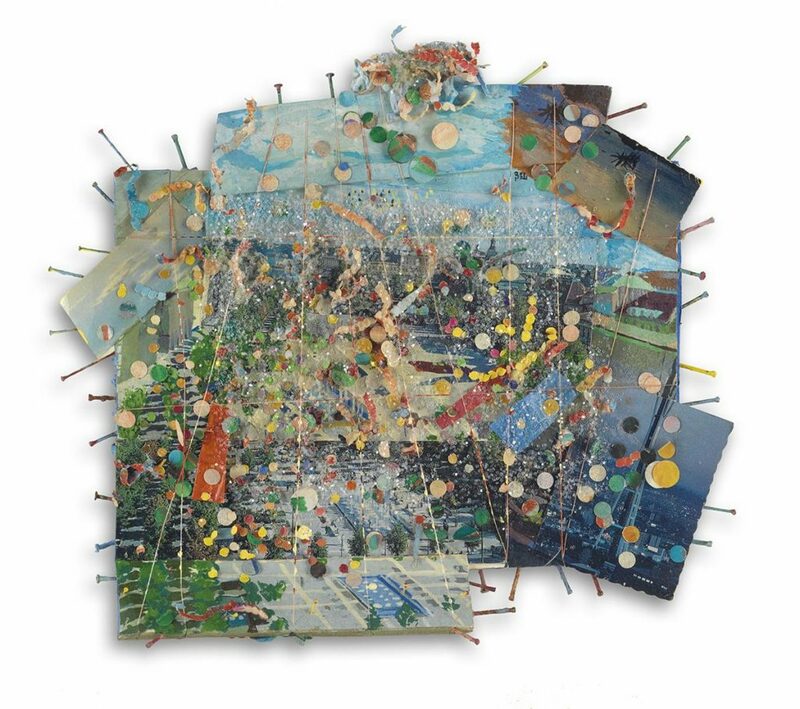 In 2013 Swann set the current auction record for Pindell with Untitled #56, 2010, a vibrant green work of punched papers, watercolor, gouache, open bite etching, archival glue and Swiss thread on rag board selling for $43,750. For more in our April 4 sale, browse the full catalogue, or download the Swann Galleries app.